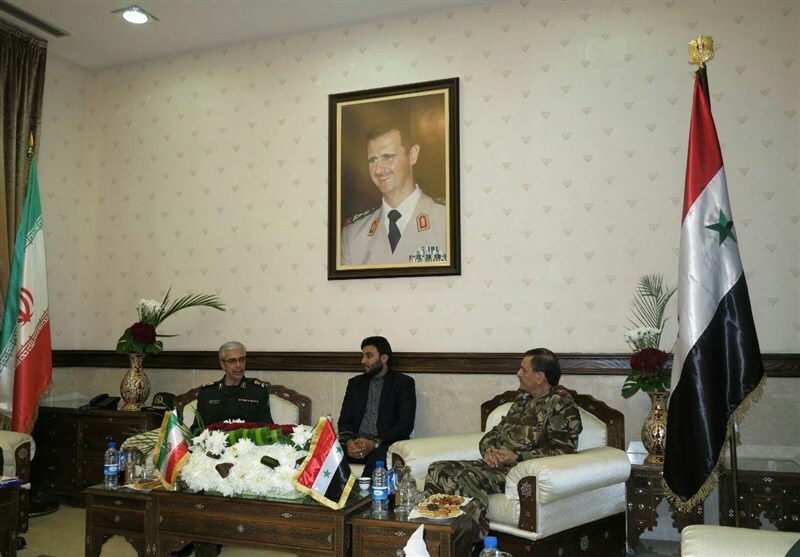 TEHRAN (Tasnim) – Senior military officials from Iran and Syria discussed the latest developments in the region and ways for closer cooperation between the two allies in the fight against terrorism and extremism. 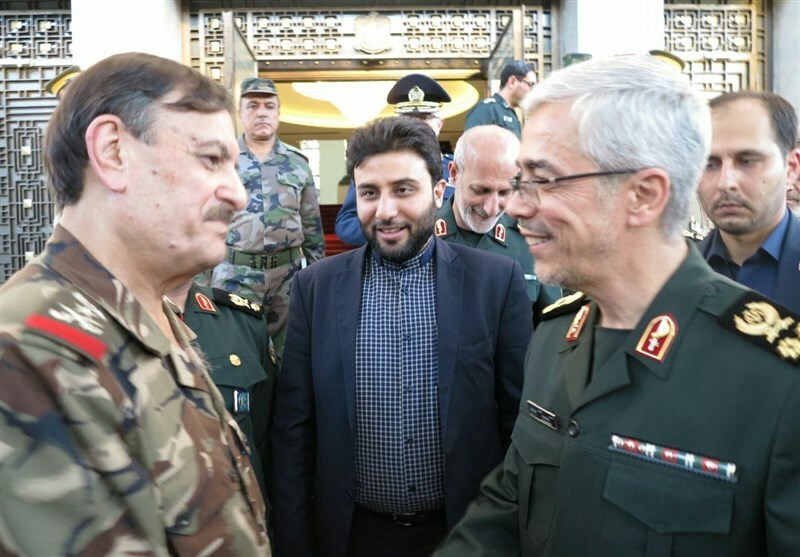 Chief of Staff of the Iranian Armed Forces Major General Mohammad Hossein Baqeri met with Syria’s Defense Minister Fahd Jassem al-Freij in Damascus on Wednesday. 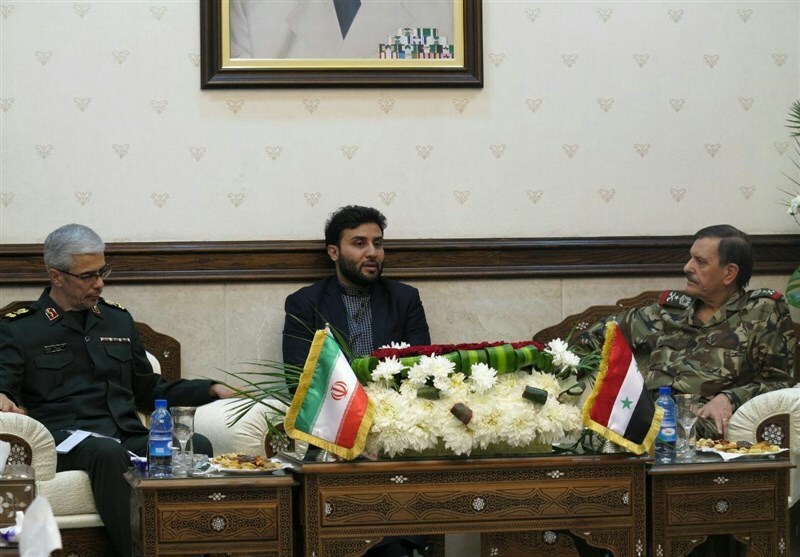 Focusing on the most recent developments in the region and stressing the need for plans to strengthen the axis of resistance in the war against terrorism, the two officials also explored avenues for the expansion of military ties between Tehran and Damascus. They also agreed that the military delegations, commanders and experts from the two sides would press ahead with regular consultations to take the final steps in combatting terrorist and extremist groups. Major General Baqeri and General Freij also discussed the plots the enemies have hatched to disintegrate regional countries and create instability. They condemned any move against the sovereignty, national unity and territorial integrity of regional states, particularly Syria and Iraq. 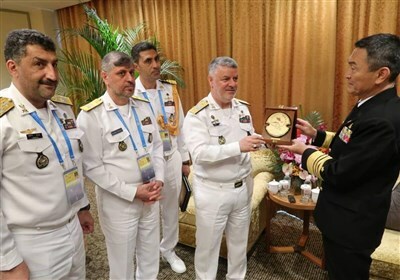 Heading a high-ranking delegation, the top Iranian general has travelled to Syria to broaden defense and military cooperation with the Arab country and promote cooperation in the fight against terrorism. Syria has been gripped by civil war since March 2011 with various terrorist groups, including Daesh (ISIL), controlling parts of it. Throughout these years, Iran has remained a close ally of Syria and supports its legitimate government in the face of foreign-backed militancy.